In 1986, the year of Top Gun, Ferris Buehler, and Hoosiers, Rich Rackers established an accounting firm focused primarily on tax and accounting work for businesses. Clients quickly began to rely on him for his personable, accurate service, and the firm continued to grow, both in size and in the depth of service offered. As this evolution started to unfold, Rich looked to add a partner to further expand the business and take the firm into the future. That partner was Sergio Fernandez, who joined Rich in 1996 and leads Rackers & Fernandez today. When it comes time to prepare tax returns, you’re looking at the past. You’re reporting on what has happened rather than setting goals and considering all of your possibilities. Deliberate and strategic forethought may not only save you money on your taxes, it can also help you grow your business. You’ll be tracking key measures, such as how much you’re spending and areas to enhance profitability, to help your business be more efficient. You’ll have an accountability partner in us. We’ll have regular meetings to discuss your goals and what actions have moved forward to get you there. When this happens, things get done! Rackers and Fernandez will be that advisor for your business. To many, innovation means having and leveraging the shiniest new object at all times. At Rackers & Fernandez, innovation is all about being proactive – not reactive. We innovate solutions for your business, planning for various scenarios, and leveraging whatever tools, technology or methods may be the best fit for your situation. The Rackers and Fernandez team is thinking about your needs and deadlines before they appear on your radar screen. We know business owners and senior managers are busy, so we’re out in front, gathering the information needed, giving reminders and support along the way, and getting things done on your behalf. We believe the key to our clients’ success is through partnership, not transaction. Together, all year long, we’ll work together to map out a plan, monitor that plan, and make any adjustments necessary along the way. It’s this process that inspires progress, builds confidence, and inspires business owners to envision possibilities for growth, tax savings, and enhanced career fulfillment. Rackers & Fernandez operates based on the philosophy that your accounting should be working for you. It’s not about historical figures, or overanalyzing (perhaps even fretting) about what’s happened in the past. Your accounting is there to give you vital information to increase the performance of your business, and make plans for your future. This is what Performance Accounting is all about. With information comes power – the power to identify key benchmarks, then monitor and measure progress. You’ll know you’re moving forward when you see these things. You’ll know what activities to pursue to get the business results you’re after. We’ll review these at our regular meetings throughout the year, adjust activities as needed to remove barriers, and celebrate the results. The greatest plans and ideas come to life when – and only when – there’s implementation. Rackers & Fernandez believes in getting things done, and in fact, because of our involvement, clients are inspired to implement their plans. They’re excited to report their progress and continue to look for ways to move their business forward. If you ask Mark Horst, CPA, about his job at Rackers and Fernandez, his first response isn’t about the many years of experience he brings to the table, tax consulting, review, compliance, quality control, financial reporting, or even making sense of highly complicated tax situations. While all of those things are incredibly important and true of Mark’s skill, his first response will always revolve around helping people – supporting them to understand difficult tax and financial concepts, saving them money through effective tax planning, and seeing the happiness that results from this service. His expertise lies in serving small businesses, individuals, and providing consulting services. Prior to joining Rackers and Fernandez, Mark served as a partner and senior accountant at other St. Louis area CPA firms. 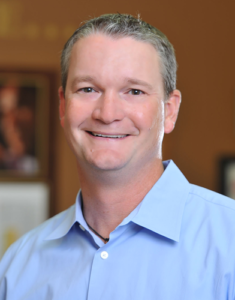 He earned a BS in accounting from Lindenwood University and is a member of the American Institute of Certified Public Accountants, the Missouri Society of Certified Public Accountants, and a former member of BNI. He has also served as treasurer for Friends of the Wentzville Parks. In his spare time, Mark lives an active life in which he enjoys running, riding bikes, playing sports with his kids, golf, tennis, camping, Cardinal Baseball, home improvement projects, and rocking out to U2, Maroon 5, and Classic Rock. As a practicing CPA and partner in Rackers & Fernandez, LLC since 1996, Sergio’s experience extends to all areas of tax planning, research, strategic planning, and compliance for closely held corporations, partnerships, and individuals. 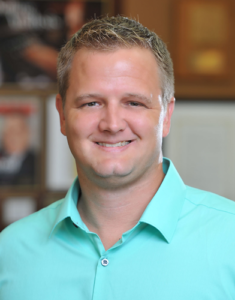 He works closely with business owners in connection with their personal and business planning, and holds specialized knowledge of the real estate, automobile dealership, and construction industries. Sergio is also well versed in tax compliance and implementation of accounting software systems and performance measurement services. Sergio has also received a number of honors and accolades throughout his career. Most recently, he received a 2016 Beyond the Best in Business Award from Streetscape Magazine which honors local leaders for their impact and positive change in the community. Sergio was also named to St. Charles Business Magazine’s 40 Under 40, Class of 2008-2009. Sergio enjoys spending time with his wife, four daughters and son. He is actively involved in his Church and enjoys playing golf and participating in triathlons—including completing two Ironman distance events. Joining the firm in 2010, Larry serves as a Director of Tax, responsible for tax compliance, client and engagement management, staying up-to-date on tax developments, and planning opportunities. 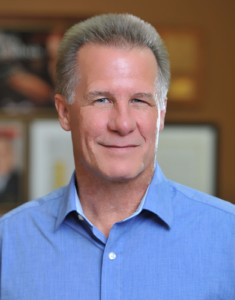 Larry brings more than 28 years of public accounting experience to Rackers & Fernandez with expertise in medical, attorney, and real estate niche markets; high net worth taxpayers; and multi-state tax issues. Larry earned a BS in accounting from Sacred Heart University and was a National Honor Society member. He is a former board member with Cancer Care of Connecticut and Monroe Soccer Club. In his off time, he enjoys baseball, golf, travel, movies, and obedience training and showing of dogs.